A man of all Season? Former army chief wins presidential vote with an overwhelming 93 percent, as opposition candidate concedes defeat. WITH nearly all ballots counted, Egypt’s former military chief has won a crushing victory over his sole opponent in the country’s presidential election, his campaign said Thursday. But the results were stained by questions about turnout despite a robust government effort to get out the vote. Retired field marshal Abdel-Fattah el-Sissi won more than 92 percent of the votes, compared with 2.9 percent percent for his sole opponent and 4 percent of invalid votes, according to a tally released by his campaign. His victory was never in doubt, but the career infantry officer had pushed for an overwhelming turnout as well to bestow legitimacy on his ouster last July of Egypt’s first freely elected president, the Islamist Mohammed Morsi. Turnout was more than 46 percent after officials extended voting to a third day, according to interim President Adly Mansour. That figure was lower than the 52 percent turnout in the 2012 presidential election that vaulted Morsi to power. 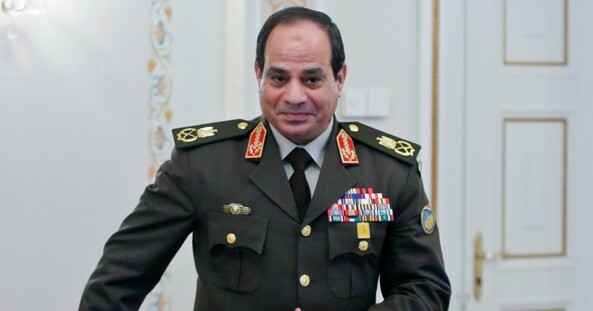 It also was lower than the bar el-Sissi himself set in his last campaign interview, when he said he wanted three-quarters of the country’s 54 million registered voters to cast ballots so he could “show the world” his support. Still, el-Sissi can genuinely claim he comes into office with an impressive vote tally of 23.38 million votes — significantly more than the 13 million won by Morsi two years ago. His sole opponent, leftist politician Hamdeen Sabahi, received 736,000 votes. It was telling that Sabahi, who came in third in the previous election, garnered less than the 1.03 million spoiled ballots cast. Official election commission figures will likely be released next week but are not expected to change much due to the wide gap in results.